The Jamestown Community Chorus is offering its 12th annual award of $500 to encourage musical interests among Jamestown residents, students 6th grade and up and adults, who are active in the Jamestown music community. It can be used for music-related instructional materials, lessons, workshops, camps, undergraduate education, instruments and/or other expenses directly related to musical development. The award is made possible through the generous support of friends of the chorus, merchants in Jamestown and surrounding communities, and chorus members. Deadline: MONDAY APRIL 1, 2019. 2.) Use the award within one year for music-related expenses, as listed in the top paragraph. 4.) 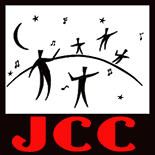 Be able to attend JCC’s 2019 spring concert, Saturday May 4th 4PM or Sunday May 5th at 3 PM for the award presentation and perform briefly at that concert. 6.) Chorus members and their families, members of the JCC Board and Music Award Committee, as well as, previous winners, are not eligible for this award. Music Award, Jamestown Community Chorus, PO Box 602, Jamestown RI 02835. Applications must be postmarked by Monday April 1, 2019. Email applications aren’t accepted. 4.) An essay (Max. 2 pages) that describes your musical background, specific information on how you will use the award and how the award will further your musical interests. If questions, please contact Patricia E. Moore, peacegardenri@yahoo.com or call 401-789-2291 from 9 AM – 8 PM. This entry was posted on March 18, 2019 by pmoore2019.